Ras al Khaimah, the most northerly of the United Arab Emirates, has decided to go its own way. While its unlikely to ever match the glitz of Dubai to the south, or the cultural attractions of capital Abu Dhabi, what it does have in spades is natural beauty. And this, local tourism officials hope, will be the key to its success. Here rolling mountains sweep down toward the Arabian Gulf, gifting visitors spectacular views for miles around. The tallest of these peaks - Jabel Jais - is home to ToroVerde, Ras Al Khaimah, the first commercial Via Ferrata in the Middle East. The longest zipline anywhere on earth, it is the centrepiece of the local hospitality strategy. Measuring nearly three kilometres in length, the equivalent to 28 football pitches, and spanning the chasm of Jebel Jais, it has been acknowledged as the Middle East’s Leading Adventure Tourist Attraction just a few short months after opening by the World Travel Awards. As the title was presented, the Breaking Travel News team was invited to try out the attraction for ourselves – and I can tell you it is quite the experience. Although a near 90-minute drive from Ras al Khaimah proper, it is well worth it, with the wait building a suitable tension before the adventure begins. Delivery of the zipline, which features a steel cable weighing more than six tonnes that is now suspended 1,680 metres above sea level, has been in the planning phase for over a year. The process involved extensive feasibility studies, master-planning, comprehensive surveys, soil tests and construction simulations. Maintaining sustainable environmental practices within all construction acts, strong anchor holes were drilled into the rugged Hajar Mountains that alone took over six months. On arrival guests are strapped into extensive safety gear before being whisked by bus to the top of the mountain. Thrill-seekers are then suspended above the mountain as they prepare to take the flight headfirst in a ‘superman’ style position. The experience is not nearly as frightening as it looks and is in fact quite peaceful, giving guests a chance to take in those fabulous views. Guests finish the first flight on a suspended landing platform - unique in the world - where they are transferred to a second line, measuring in at one kilometre, to complete their journey back to the ground. “It actually comprises two main zipline cables, allowing friends and family members to experience and race together, adding to the fun and competitiveness of the facility. “Zipline pilots will experience a flight like never before while being secure and safe. “While the time and speed they complete the flight in is dependent on weight and weather conditions, the whole experience is expected to last around two to three minutes, with top speeds reaching between 120 and 150 kilometres per hour. 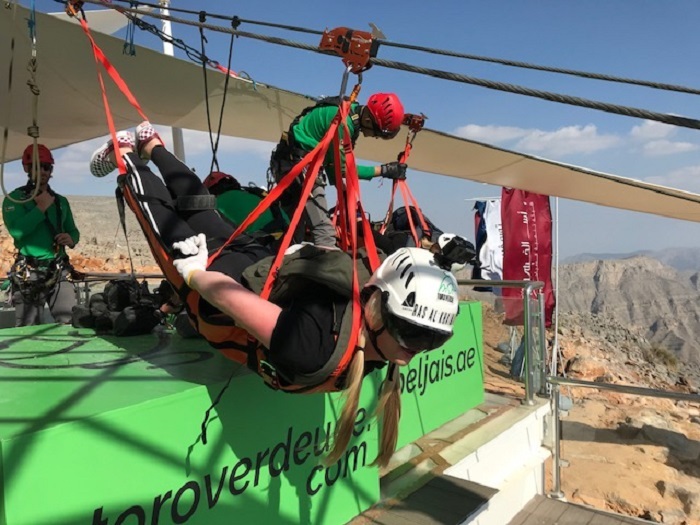 “We anticipate the attraction accommodating a rider every five minutes on the two zip lines, equating to approximately 200 people per day, and around 100,000 per year,” explained Jorge Jorge, chief executive of ToroVerde Ras al Khaimah. “We also believe given its location in Jebel Jais, which is traditionally ten degrees cooler than average UAE temperatures, we can operate during the summer months,” added Jorge. But what will it mean for local tourism? Ras al Khaimah currently receives around one million visitors annually, with plans in place to increase that to three million by 2025. “This is a great achievement for Ras Al Khaimah’s international tourism ambitions,” explained Haitham Mattar, chief executive of Ras Al Khaimah Tourism Development Authority. 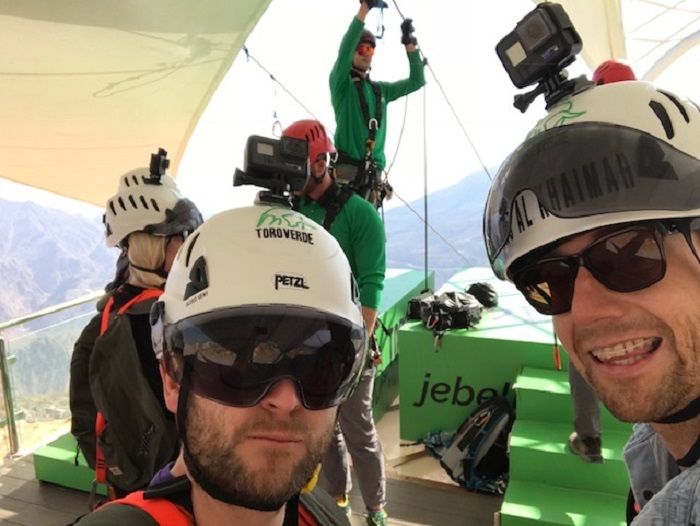 “We are now receiving our largest-ever number of visitor arrivals and are confident that Jebel Jais Flight, the world’s longest zipline, will earn the UAE’s emirate of Ras Al Khaimah considerable recognition on the local, regional and global stage and propel the destination into the major leagues of global adventure tourism. 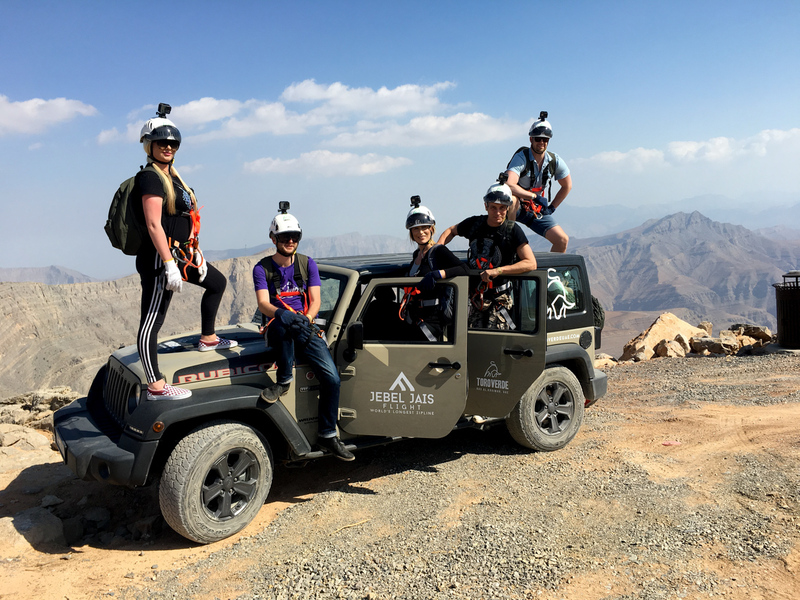 “The Jebel Jais Flight will become Ras Al Khaimah’s flagship tourism product and will cement Jebel Jais as the adventure tourism hub of the Middle East. Indeed, so prestigious is the attraction, Ahmad bin Saud bin Saqr Al Qasimi, ruler of Ras Al Khaimah, himself was the first to trial the new zipline, following the official safety certification. And, as though that weren’t enough, the Ras al Khaimah Tourism Development Authority revealed earlier this year that planning for stage two was already underway. So, watch this space for even more adventure tourism in the United Arab Emirates.